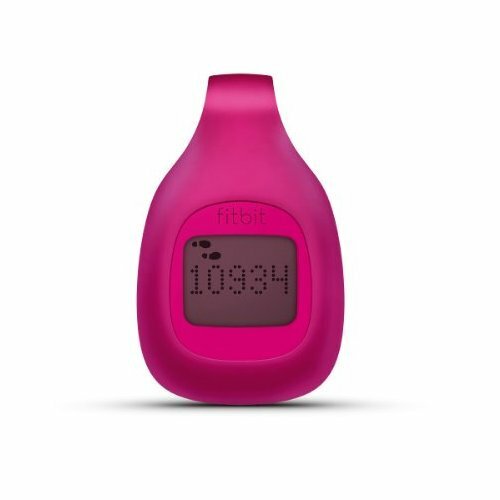 The 21st century’s version of a pedometer, the Fitbit Zip Wireless Activity Tracker clips onto a waistband or top and tracks the number of steps taken, the distance covered and the number of calories burned each day. The device automatically transmits that information to a computer or mobile device for easy long-term tracking, and a quick tap to the tracker toggles between activity modes. Introduced in 2012, the device weighs less than .3 ounces, is roughly the size of a quarter, comes in five color choices and is available on Amazon for $49.99 to $59.95. It’s small and unobtrusive enough to clip anywhere, from a bra strap or belt to a shoe or pocket. Set-up is easy; there’s no difficult calibration or step measuring required. The tracker is sweat-proof, rain-proof and splatter-proof so it can be tucked into a bra or waistband, even on hot or high-activity days. There are no buttons to push; it just toggles through the various modes with a quick tap. It has a disposable battery that’s easy to change. The Zip automatically re-sets steps, calories and distance to zero at midnight so you don’t need to remember to re-set the device before beginning a new day’s activity. It syncs quickly and easily to your PC, Mac, most iOS devices and Android phones. Syncing occurs effortlessly and wirelessly, anytime you are within 20 feet of your computer or mobile device. The tracker comes with access to an online app and a free mobile app. Both are easy and fun to use. The device uses Bluetooth Low Energy connectivity so it doesn’t drain your phone or mobile device with its frequent syncing. It’s motivational. The app encourages wearers to set customized goals and it sends motivational messages when you get close to reaching those goals. “Badges” are awarded when goals are accomplished. Meals can also be logged into the app so you can track all calories. The app sends weekly reports with charts and graphs so you can track activity over a long period of time. Prefect for competitive or social types, the app connects to Facebook so wearers can challenge buddies to fitness goals. Daily step totals are displayed on a leaderboard, so you can always see who has taken more steps. You can send your activity data to other fitness apps, and you can import data from sites like SparkPeople, Map My Fitness and My Fitness Pal into your Fitbit dashboard. It’s fun. The device displays emoticons to reflect the amount of activity completed. If you’re sitting too long, it sticks its tongue out; if you’re moving frequently, it displays a happy face. It’s accelerometer doesn’t capture all activities, like using a stepper or riding a bicycle. The tracker doesn’t register the intensity of exercise. So, if you’re doing something vigorous like running, walking up a steep incline or taking a Zumba class, the tracker just measures the actual steps taken, not the intensity of the movement. Battery performance can be an issue. The disposable battery needs to be replaced every four to six months. It doesn’t sync with all Android phones and mobile devices. 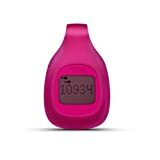 The device doesn’t zero-out during the day so that you can track a particular activity’s steps or calories burned. There are plenty of small, wireless activity trackers on the market today, but the Fitbit Zip’s price point, functionality and ease of use place it heads above its competitors. At half the price of other similar trackers, the Zip is affordable and reliable. Products like the Misfit Shine are nearly $100, and only track activity on mobile devices, not computers. Ironically, the Zip’s biggest competitors come from within the Fitbit family. The Fitbit One, for instance, gets high marks, but it also costs twice as much as the Zip and it has to be re-charged every seven to 10 days. With the Zip, you can just clip it on and forget it for months at a time, replacing the battery every four to six months. Its price, versatility, easy set-up and durability make it the perfect basic activity tracker. For those who want to move more, track their activity, have a little friendly competition and improve their healthy behaviors, the Fitbit Zip is the superior choice.